Kingsley Hall is a community centre, at Bromley-by-Bow in the East End of London. It dates back to the work of Doris Lester and Muriel Lester, who had a nursery school in nearby Bruce Road. Their brother, Kingsley Lester, died aged 26 in 1914, leaving money for work in the local area for "educational, social and recreational" purposes, with which the Lesters bought and converted a disused chapel. The current Hall was built on Powis Road, with a stone-laying ceremony taking place on 14 July 1927. An additional Church and community centre has also been built on Parslows Ave. Dagenham. This also holds the Kingsley Hall name and is undergoing redevelopment. In 1965 R. D. Laing and his associates asked the Lesters for permission to use the Hall as an alternative community for treating people affected by mental health crisis. Kingsley Hall became home to one of the most radical experiments in psychology of the time. The aim of the experiment by the Philadelphia Association was to create a model for non-restraining, non-drug therapies for those people seriously affected by schizophrenia. The idea of starting this type of community was an initiative suggested by Mary Barnes a former nurse and first resident as patient. In 1912, Doris and Muriel Lester started a Nursery School at numbers 58 and 60 Bruce Road. Children were fed, clothed and cared for at a charge of one shilling (five pence a day). When mothers could not afford fees, children were sponsored by a network of wealthier supporters. The service was soon expanded to include activities for older groups with the aim to provide for the development of the whole person – the mind, body and spirit – in an environment which brought people together regardless of class, race and religion. Kingsley Lester died in 1914, leaving what money he had for work in Bow towards "educational, social and recreational" purposes. Doris and Muriel Lester bought an old chapel on the corner of Eagling Road in 1915, which was then re-decorated and fitted out by local volunteers. It was a "people's house", where friends and neighbours, workmen, factory girls and children of Bow came together for "worship, study, fun and friendship". The premises became known as Kingsley Hall, and operated a Nursery, as well as social events, concerts and adult school. Football, Sunday services and summer holiday schemes were also begun. During World War I, in the face of criticism, Doris and Muriel remained pacifists. Kingsley Hall ran a soup kitchen and stayed open at night for Air Raid Wardens. At the end of the war, Doris and Muriel joined a march to the House of Commons demanding that milk be sent to Germany, where people were starving. A German child was adopted by the members of Kingsley Hall who paid for her to stay with a local family for two years. After the War, Kingsley Hall maintained strong links with the Suffragettes in east London. Activists campaigned for votes for women in the face of threats. Muriel Lester spoke on street corners and on Sunday mornings in Victoria Park. After her talks local people contributed towards maintaining services at Kingsley Hall. Muriel became an Alderman on the Metropolitan Borough of Poplar and fought for basic provisions such as milk for children under five. The Lester's father, Henry Lester, was a shipbuilder. He bought a cottage in Loughton, (then a countryside district of Essex), to be used as a holiday place by families from Bow. Named after his deceased wife, Rachel Cottage also served to provide holidays for nursery children. Enough money was saved to build the Children's House on Bruce Road which was opened by H.G. Wells in 1923. The foundation stones represent: Vision, Nature, Rhythm and Music; Beauty, Health, Education, Motherhood, Internationalism and Fellowship. The Children's House continues to be run as a Nursery School. During the 1926 General Strike, the hall became a shelter and soup kitchen for workers. Larger accommodations were needed as the popularity of Kingsley Hall grew, and a new Kingsley Hall was built on Powis Road, with funds from people in the neighbourhood and donations from wealthy patrons. The architect was Charles Cowles Voysey. A Stone-laying ceremony took place on July 14, 1927. The following people laid stones representing different aspects. Kingsley Hall (on Powis Road) was opened on 15 September 1928. The building included residential units or cells, and also had a clubroom and dining room, kitchen, office and a space of worship. The new building would receive its most famous visitor just a few years after it opened. In 1931 Mahatma Gandhi accepted an invitation to stay there while on his visit to England. Gandhi planting a tree outside Kingsley Hall on 3 December 1931. The tree was destroyed in World War II by a flash and was replanted by Lady Attenborough in 1984. The same year (1931), Muriel told us that Mahatma Gandhi (at whose ashram she had stayed in India) was coming over for the Round Table Conference. He had refused to stay at a hotel, but would come if he could live with the working class, so he was to stay at Kingsley Hall....when he arrived, I think all the people in East London waited outside to see him. ...besides doing his work with the Government, he spent a lot of time with us. He visited the Nursery School and all the children called him Uncle Gandhi. At six o'clock each morning, after his prayers, he took his walk along the canal, talking to workmen on the way.... There was something about him that always lives with the people. Gandhi lived at Kingsley Hall for 12 weeks. Stories that he was accompanied by a goat however, were pure press invention. Among Gandhi's visitors were Charlie Chaplin, George Bernard Shaw, the Pearly King and Queen of east London, many politicians including David Lloyd George and the Archbishop of Canterbury Cosmo Gordon Lang. Muriel Lester later accompanied Mahatma Gandhi on his tour of earthquake-shaken regions in Bihar on his anti-untouchability tour during 1934. In 1935 Ellen Wilkinson led the Jarrow March to London, and some of the men were put up at Kingsley Hall. It was the poor helping the poor. They collected their pennies and opened the jumble store for them. Muriel Lester visited the Far East, USA, China, Japan and India to report to the League of Nations on drug investigations in the regions. Muriel Lester retired from full-time work in 1958 and in 1963 she became a Freeman of the Borough of Poplar on her eightieth birthday. Muriel Lester died in 1967. Following World War II, with the welfare state having undertaken much of the work advocated by the Lester sisters, Kingsley Hall continued on a quieter note as a youth hostel and community activity centre. In 1965 R. D. Laing and his colleagues asked the Lesters for use of the Hall as a community for themselves and people in a state of psychosis. As a result Kingsley Hall became home to the Philadelphia Association and one of the most radical experiments in psychiatry. Based on the notion that psychosis, a state of reality akin to living in a waking dream, is not an illness simply to be eliminated through the electric shocks favoured in the Western tradition of the time but, as in other cultures, a state of trance which could even be valued as mystical or Shamanistic, it sought to allow schizophrenic people the space to explore their madness and internal chaos. Residents (in the grip of psychosis) were often treated with kindness and respect with sincere efforts to alleviate their suffering. One notable resident of this experiment was Mary Barnes. Along with resident psychiatrist Joseph Berke, Mary later went on to write Two Accounts of a Journey Through Madness, describing her stay at Kingsley Hall and use of her mental condition as a vehicle for painting and creative expression. Her account became famous in the 1970s when it was used as the basis for the play Mary Barnes by David Edgar. 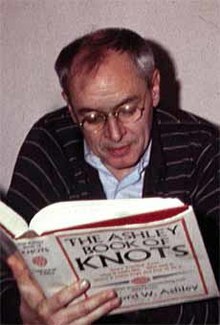 Another notable resident was the renowned Norwegian author Axel Jensen. The activities of residents in the "no-holds barred" experiment made the local community largely hostile to the project, and there were regular reports of harassment. After five years (from 1965 to 1970) the project was wound up and Kingsley Hall was boarded up. During the seventies it was severely damaged. In the 1980s Kingsley Hall was one of the sets used in the film Gandhi. During the filming Richard Attenborough united with the Kingsley Hall Action Group to raise enough funds to carry out an extensive refurbishing. Many of the local community contributed their skills and commitment to bring Kingsley Hall back into a usable community centre. Kingsley Hall was reopened 2 March 1985 with events in the week preceding, and has since gone on to be used for activities ranging from youth groups, holiday outings or arts and photography workshops, for advice surgeries, wedding functions and educational projects. It also houses the office of the Gandhi Foundation, which pursues interests of peace internationally, in the tradition of its namesake. In 1995, The Hall suffered two major burglaries when vandals broke in and burnt down the offices. The committed staff and volunteers were devastated by this destruction, but continued to run youth groups, advice sessions, clubs and meetings. The management interprets its remit as serving the local community and the cause of international peace and to do so in exciting and innovatory ways. ^ Historic England. "Details from image database (206183)". Images of England. Retrieved 9 December 2008.